The Olympics have long proven to be an excellent stage for socio-political statements. At the 1968 Mexico Olympics, American 200m sprinters Tommie Smith and John Carlos both raised a black-gloved fist during their medal ceremony to show their support for racial equality. Despite being on the podium that day, Peter Norman’s role in the proceedings have gone largely unknown – hence filmmaker Matt Norman (Norman’s nephew) taking it upon himself to tell Peter’s story with his 2008 doc Salute. Ably narrated by Chris Kirby, Salute provides its audience with some essential context early on as we learn how Australian liberals were opposing the government’s ‘White Australia’ policy, whilst the big push for civil rights in the US was only emboldened by the assassinations of leaders like Martin Luther King Jr. and the Kennedys. This is interwoven with some interesting insights into how the three medallists came to love sprinting, all shown in just enough detail using a combination of archive footage and interviews. 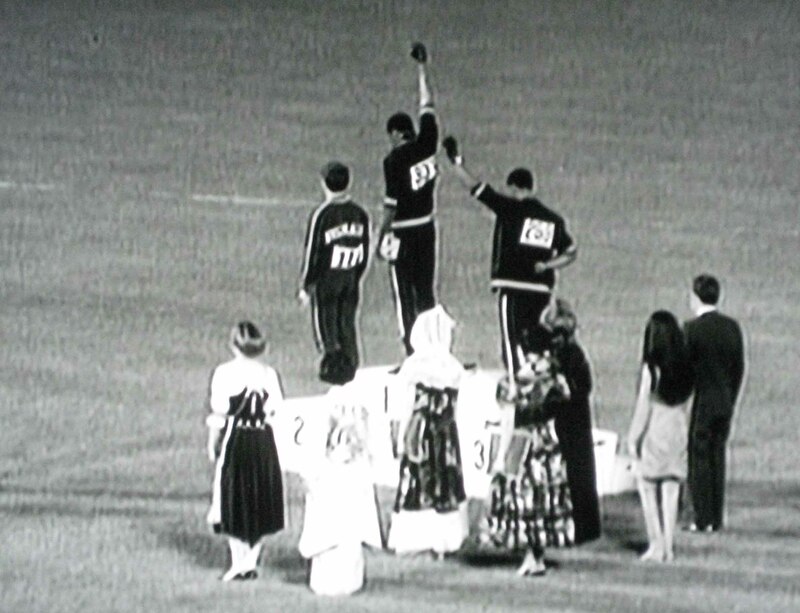 The socio-political climates in both countries only help to illustrate just how courageous it was for the Olympians to make their ‘black power’ statement at all. Read the rest of this review on CineVue here. This entry was posted on July 11, 2012 by Amonymous. It was filed under Film Reviews and was tagged with black power, Film Review, John Carlos, matt norman, peter norman, Salute, Tommie Smith.